“There’s another book I read around the same time, it was the perfect partner to the Maxwell. If only I could remember the name of it…” (later: Stoner by John Williams). “So what’s your one favorite book?” I ask. He hunkers down and whispers me a secret. “Say again?” I say, leaning closer. Competition time! 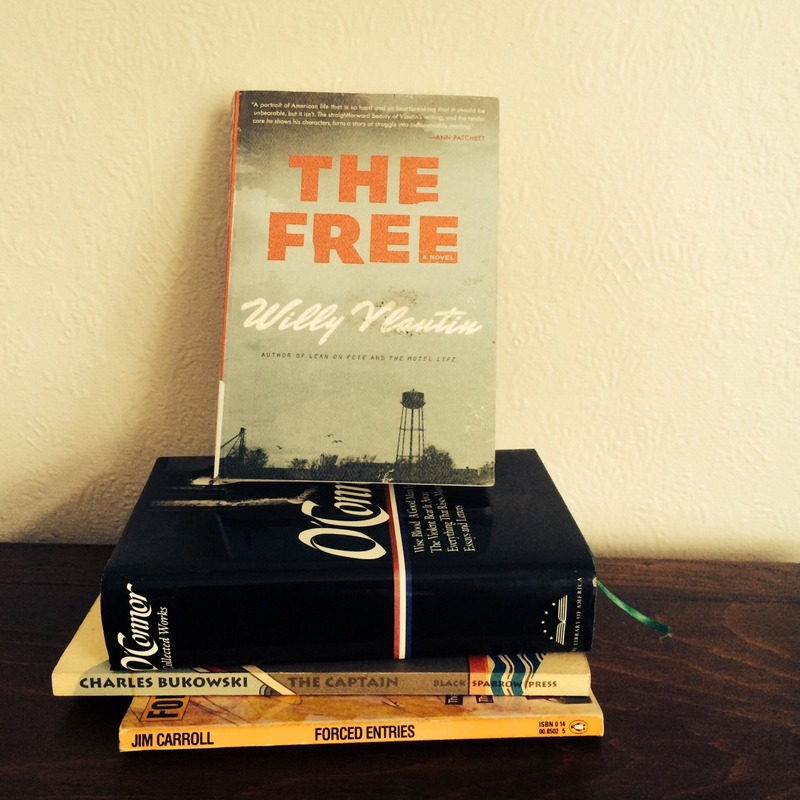 Guess what book Willy Vlautin said was his favorite and you will go in the draw to win a copy of his latest book The Free (thank you Jane at Allen & Unwin Australia). Clue: it won the 1984 Pulitzer Prize. 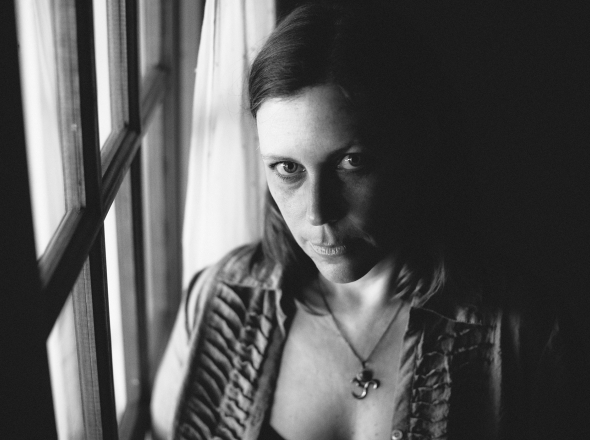 The Delines’ singer Amy Boone (also from Damnations) and bassist Freddy Trujillo join us and we hug like old friends. She tells me that one day a few years ago she got a letter from Vlautin telling her he’d written her an album-full of songs and would she take a look. “He wrote me a letter. Can you believe it, a letter…” she says. I can believe it and I bet it was one hell of a letter too, because Vlautin writes words like he writes music – with gritty, down-on-luck characters in mind. He cast Amy and her soulful, bruised voice to play characters and sing songs he couldn’t or wouldn’t. Tonight she was knee deep in lyrics acting out the pleading lover (“Please come back tonight / Wichita ain’t so far away / And your fingerprints on me have begun to fade away / I swear nothing makes sense without you” – Wichita), and the wife realizing love has gone (“I’ve covered up my heart for so many years / I don’t even know if it survived” – Oil Rigs at Night). 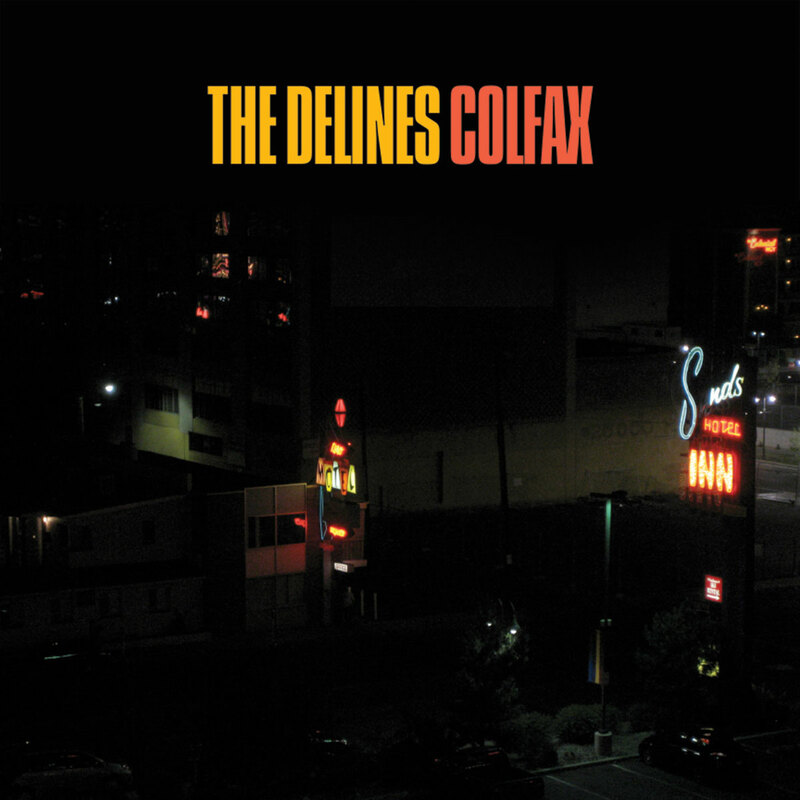 Colfax by The Delines. Buy it immediately! 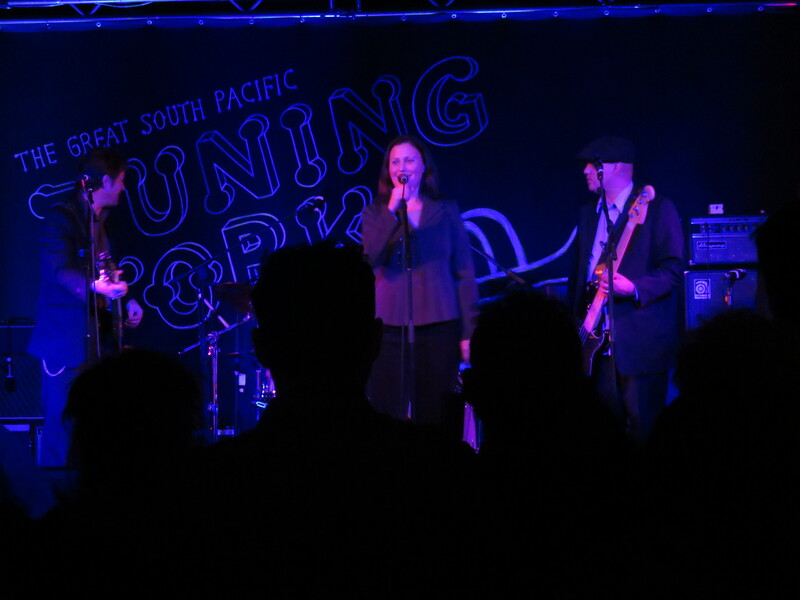 Tonight’s songs are from The Delines’ debut (and only) album “Colfax” (‘Colfax Avenue’ might sound familiar to Beat Generation fans – Sal Paradise in Kerouac’s On the Road lived there for a time). The band added in a couple of extras including an instrumental ode to Vlautin’s horse, Rudy, halfway through which they changed up the rhythm to bluesy swing complete with mariachi style horn; and a brilliant new song Sonny which featured Cory Gray’s masterful muted trumpeting and had the crowd on their feet and lifted me to the stars. I loved the messy swing triples of Wichita and Richmond Fontaine band member Sean Oldham’s primal bass drumming at the climax of my favorite song of the night, I Won’t Slip Up. The set ended with the achingly gorgeous He Told Her the City was Killing Him (“He got drunk one night / Threw a chair at her while she was sleeping / Now she’s staring out the window getting old / Such a price to pay for not wanting to live alone”). The star of the night was Vlautin’s lyrics and Boone’s total commitment to the characters. As the lights went down the spotlight stayed with Gray on electric keyboard, not on Vlautin or Boone. That’s just the kind of people they are. 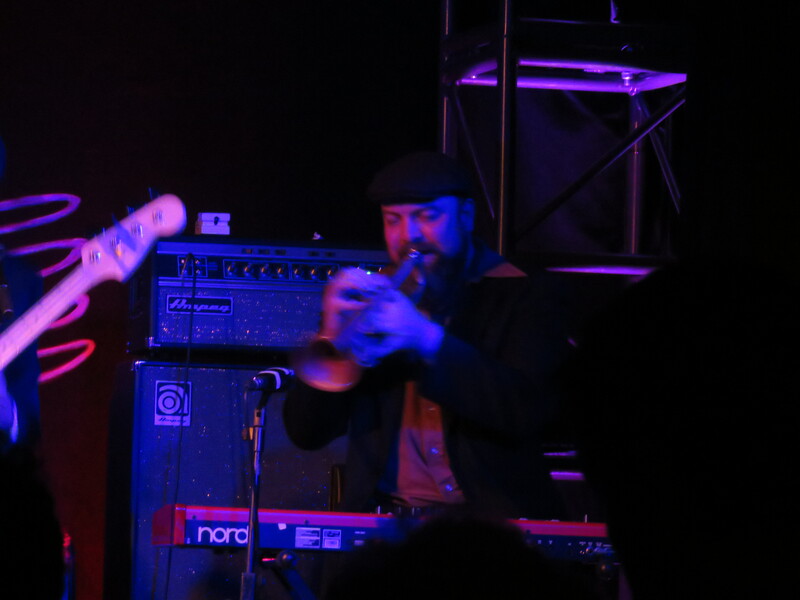 Cory Gray making that horn sing at Auckland’s The Tuning Fork. Image copyright Caroline Barron. 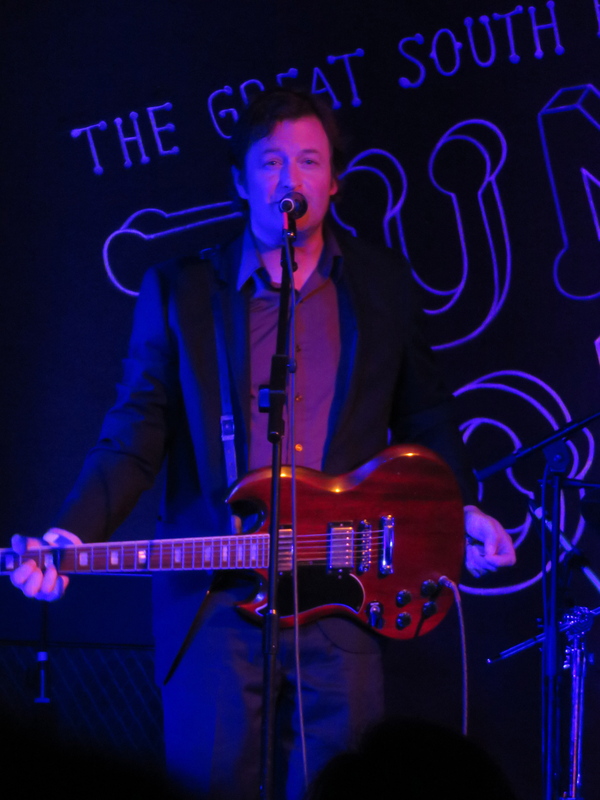 Vlautin lists his musical influences as Dave Alvin and Tom Waite; and his literary influences as Flannery O’Conner, John Steinbeck, Raymond Carver and the guy who wrote the book he whispered to me (have you entered the competition yet? I’ll give you a clue: it won a little prize in the 1980s call The Pulitzer). What I heard tonight were echoes of Bob Dylan, Joss Stone’s Chokin’ Kind, Ryan Adams’ Sweet Carolina and strangely, the atmosphere of the novel Last Night at the Lobster (Stewart O’Nan, Viking 2007). Reviewers say Vlautin’s literary characters are mostly down on their luck but there is always a sliver of hope, a ray of light. I tell Vlautin I’ve ordered Motel Life and The Free. “You should read Lean on Pete,” he says. I wonder aloud how he manages creatively, writing both words and music. “My records are like soundtracks to my books,” Vlautin says. “When I’m writing music if feels like I can’t do anything but music. When I’m writing stories it’s like I’ll never be able to play music again.” He shrugs his shoulders and smiles me some more of those telephone lines. Vlautin epitomizes the essence of lovewordsmusic.com – he’s both an award-winning author and a nine-albums-in musician who does it all with heart and a bright-side attitude. In fact, if I hadn’t been standing right there next to him, having a beer and talking books, I might have thought I’d written him into being myself. Cheers Willy, Amy, Corey and Sean. Fantastic night.